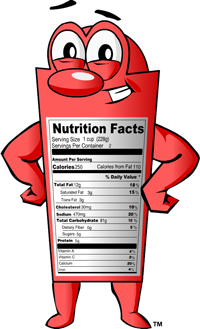 Weighty Matters: Are all food labels' calorie counts wrong? I lost track of how many readers and friends sent me links to this article in the New Scientist. The article details how our caloric calculations are flawed due to the fact that they don't take into account the ease with which macronutrients are processed by our guts. The article posits that due to errors in calculations those food labels have an accuracy of plus or minus 25%. Indeed, were you always to be on the minus side (and hence eating 25% more calories than you thought) your weight might end up on the plus side. At least that's what they posit near the beginning of the piece. I'd suggest you read the whole thing before becoming too alarmed you're inadvertently overeating. You see if you read the whole thing you'll discover that in fact the only errors are in the other direction meaning that with some foods the cost of digestion actually burns off more calories than others but in a fact that wouldn't be surprising to folks who believe in the laws of thermodynamics, in no cases does the food gain energy. So don't fret. If you're trying to stay calorie aware and reading food labels your worst case scenario is that the label's right. Best case? It's overestimating the food's actual caloric impact.